When did democracy become such an indispensible sine qua non for France in Africa; when Houphouet-Boigny was President of Ivory Coast for 33 years; Eyadema (the mastermind of the first coup d’etat in Africa) ruled for a generation and handed over power to his son; Albert-Bernard Bongo, was President of Gabon for 40 years, before handing over to his son; Paul Biya of Cameroon has been president for 28 years and is poised to win elections again in 2011,and perhaps handover to his son?. Former President Jacques Chirac of France, had said, that democracy is a luxury that Africans cannot afford- that it is better for them to aspire to portable water and food, rather than the pie-in-the sky, that democracy is, according to his racist mindset. Is it surprising that Ouattara and Bedie signed the pact to oust Gbagbo in Paris?. The so called “Rally of Houphouetistes for Democracy and Peace” was virtually a French creation. (Equally ironic, is the presence of the name –Houphouet- and democracy in the same sentence, when Houphouet’s iron rule in Ivory Coast, is the very antithesis of democracy).The pact between Bedie and Ouattara, has turned out to be the devilish pact that would destroy Ivory Coast, as one observer had predicted in 2005, when it was formed. It is not surprising that all the flotillas of the West are converging off the Ivory Coast, to install an American trained economist and career employee of the IMF, as President of one of the richest countries of West Africa. (Never mind that his birth certificate, issued in September 1999 –for someone born in 1942-was annulled by the courts as fraudulent. Well, most Ivoirians are convinced that the patriotism of one who voluntarily renounced his Ivorian citizenship at High school, and assumed the citizenship of the country where his parents were born parents, must be suspect). Ouattara who had exercised presidential functions for nearly two years, while the Late Houphouet was in a Parisian hospital, seems to have enjoyed the accoutrements of the office, and is determined to reclaim it, by hook or by crook. When President Bedie opened an investigation on the authenticity of his citizenship, Bedie was overthrown by Northern officers in the military, who did not hide their admiration for the messianic Ouattara (popularly referred to as ADO). Ouattara hailed the ouster as “not a coup d’etat, but “a revolution supported by all the Ivorian People” [i] . He later embraced the rebel –New Forces- who staged a failed coup against Gbagbo, in 2002, although he had originally distanced himself from them. Yet, since most of the rebels are of his Diawala tribe (Diola-french transliteration) which lies astride the Ivory Coast/Burkina Faso border, it was clear to most observers, that the rebels were out to implement Ouattarra’s vow to accede to the presidency of Ivory Coast at all cost. 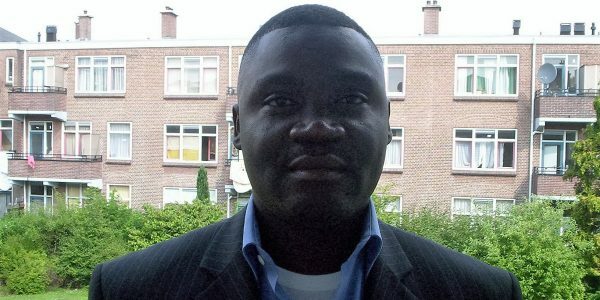 Guillaume Soro who launched the rebellion against Laurent Gbago in 2002 has said, force is the only means to oust Gbagbo. The link between the abortive coup and the electoral “tour-de-force” in the rebel held north is now clear: ADO had to win or else, the election is not free and fair. Yet, the United Nations is still to publish the report of the conduct of the elections in the rebel-held north of the country, for the court of world opinion to review and compare with the facts on the ground. Ban Ki-Moon who is an international adminitrator, does not have the the legal authority to unilaterally endorse the results of presidential elections in a sovereign nation. His actions are in contravention of Article 100 of the UN charter which impose a duty of impartiality to the Secretary General. So, after the ouster of Gbagbo, will those who live by the sword live or die by the sword?. The West will be making a mockery of its international criminal court, if it can only try Third World leaders, for war crimes, when Cheney and Rumsfeld walk free from their Iraqi attrocities. Yet, objective international observers have noted the fact that in 2002, rebels trained in the military bases of Burkina Faso, with ethic affiliations to nationals of that country, crossed an international border, and attacked the democratically elected government of Laurent Gbagbo. Those rebels led by Guillaume Soro have made it clear that their power grab was justified by the xenophobic policy of “Ivoirite“ (Being Ivorian) that Bedie -the handpicked spiritual son of Houpouet, introduced in a bid to exclude Ouattara from the Ivorian Presidency, the accession to which, has become the culmination of his life’s ambition. (For super-empowered Africans like Ouattara, with stellar educational credentials, to make up for the frustration of not being able to head the World Bank- which is the statutory preserve of the Americans, or the IMF- reserved for the Europeans, the next best thing for Africans, after a stint at these institutions, is the Presideny of their countries. Infact, they are trained as the local enforcers of the “Washington Consensus” in their respective countries). Never mind that these policies have produced only malnourished babies with bloated stomachs, which are the perpetual shame of the failure of African nation-states; hoards of economic refugees crossing the Sahara in a life-and-death quest for greener pastures, or the Swiss bank accounts of African dictators who boost the economies of the West. As events unfold, the world will find out whether Ouattara’s allegiance is with Burkina Faso, the Americans who trained him, the IMF which gave him a career and an ideology, or Ivory Coast where half the population believes, he is a foreign “Trojan Horse”. But for Africans, the battle lines are now drawn. Those who side with France and its exploitatives policies are using democracy as an alibi to oust an African nationalist, albeit who has his own shortcoming. The double standards of the enforcers of democracy in French Africa are now clear for even the blind to see. When then National Assembly of Ivory Coast is the property of a French real estate company, when 10 metres below the surface of Ivory Coast is owned by the French, it is not surprising that Gbagbo’s defiant stance, inspires the admirers of Nkrumah, Lumumba and Ruben Um Nyobe. [i] Ivory Coast coup a “popular revolution” BBC News Online, December 9, 1999. Have you ever seen Frank Biya on political scenes? Has he ever expressed any interest in political power? I don’t think all the former African presidents you cited Eyadema, Bongo handed power to their children, these had potentials to lead their countries. Handing down of power is between living people and not between dead and living people! You take your dreams for realities. Did Franck Biya show you he was interested in power? Spending 28years in power does not mean you are a dictator. Revise your notes. Senior brother Larry Eyong has put all the facts and thinking succinctly.This will help clear the minds of some who think that what comes out of western media is the truth.We have seen and read Mugabe being diabolised while the likes of Paul Biya et al were given free passage to siphon the people’s wealth to Swiss banks and lodge in 65,000 Euros suites.Western media and governments have told us that Ouattara won because the electoral commission said so,while Gbagbo lost because the Constitutional Council appointed by Gbagbo said he had won.Where is the logic?Both bodies were constituted before the elections and charged with specific responsibilities.The Electoral Commission failed to accomplish its duty within the time frame as provided by law.The vote count needed to be verified and certified.That is what the CC did.In 1992 when Pascal Lissouba became the first democratically elected president of Congo,was it not France that financed and supported the dictator Sassou Nguesso to maim and kill thousands of Congolese in order to maintain a strangle hold on lucrative oil exploration contracts?How come France is in defence of democracy today?That western governments and their media are biased and operate with the same mindset,here is a short passge I sent to BBC Have Your Say programme and it was rejected for violating house rules.